The Xcceleration Station's inspired, experienced and dedicated staff facilitate transformation every day. View biographies and photos here then join us at T-X-S in West Hollywood. A passionate mover since the age of 10, exploring and understanding physical transformation has been a central theme in his life. He has spent more than 20 years sharing this passion with others with an incredibly diverse background in movement, pilates, yoga, the Gyrotonic Expansion System® and more. 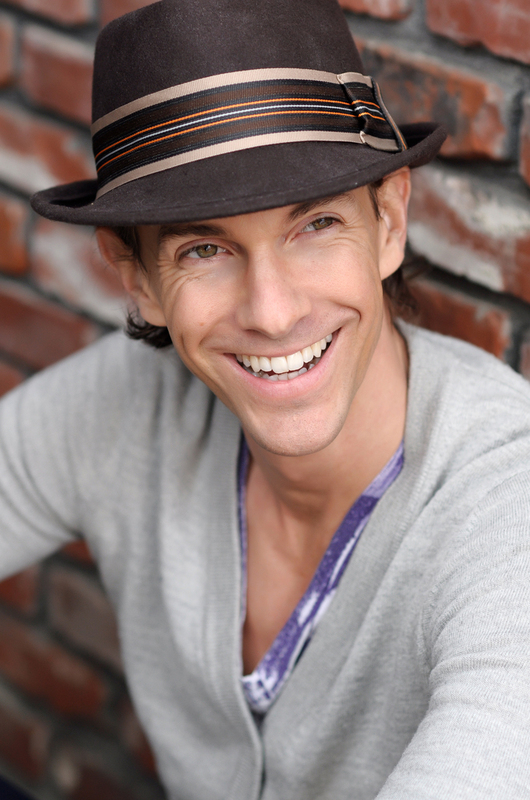 In 2004 his passion for transformation expanded beyond the physical as he entered the health, wellness and sciences field exploring cutting edge technology and ancient sciences that explain wellness from an integration and wholeness model. Ten years later this information comes together in his creation, The Xcceleration Station (T-X-S) a transformation facility where he is owner, facilitator, practitioner, specialist, coach, and teacher. Chad recognizes the efficiency that comes when clients are viewed from the integration model, providing support at all levels of his clients: body, mind and life. He is a passionate student, currently engaged in his PhD studies and research in Integrative Medicine through IQUIM and contributes to a large international community of practitioners, all dedicated to furthering the definition of wellbeing and human potential. The Xcceleration Station is Chad’s current vision of ease, efficiency, creativity and results. Faster. Caroline began her exploration of bodywork by becoming a certified massage therapist in 1989. In 1991, she was introduced to the unique training methods of Pilates and the Gyrotonic Expansion System® as she began her professional dance career. She is a founding member of the international touring dance company Tongue. Tongue is dedicated to developing a physical language that explores momentum, impact and fierceness; simultaneously sensual and athletic. She holds certifications in Pilates through Long Beach Dance Conditioning and BASI. 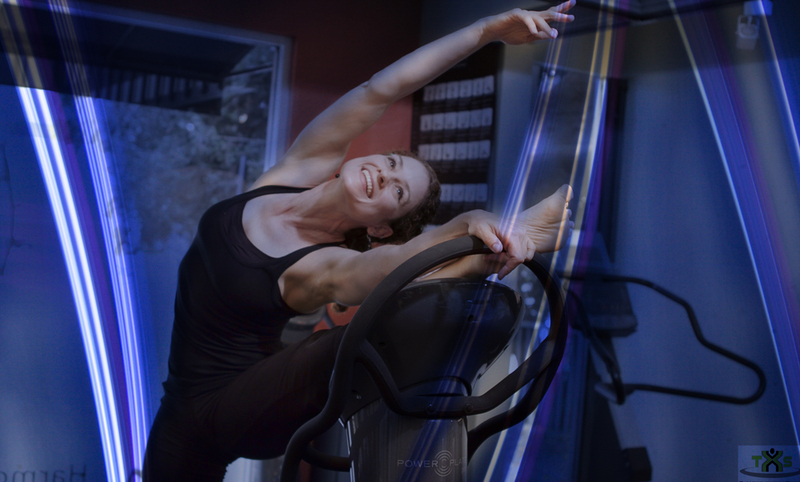 She is also certified in the Gyrotonic Expansion System® and Gyrokinesis™. She has studied Ashtanga yoga with Tim Miller, certified with Erich Shiffmann in Hatha Yoga and Level 1 Anusara with Anthony Benenati at City Yoga. Caroline has been certified as a personal trainer through National Academy of Sports Medicine. Through her years of study, Caroline has a developed a deep personal understanding of what it means to unify strength and flexibility; consciousness and instinct; and to have a functional, intelligent body. She now specializes in a range of training disciplines that have broadened her effectiveness in designing programs for balance, success and optimal health. She has been featured on KTLA news, Extra TV, and voted by Hollywood Reporter as one of the top 20 luxuries that women in the entertainment industry can't live without. GYROTONIC,GYROTONIC & Logo and GYROKINESIS are registered trademarks of Gyrotonic Sales Corp. and are used with their permission. Elissa has practiced yoga and Pilates for over 35 years and is a certified Pilates instructor through Pilates Sports Center, a PMA-recognized school, a certified Power Plate Trainer, a certified Yoga teacher through Yoga Alliance and a certified a personal fitness trainer through the National Academy of Sports Medicine. She specializes in creating private programs and classes that draw from a hybrid of the best exercises from Pilates, yoga, yoga therapy, Power Plate, fitness training, Foundation Work, Bar Method, TRX, and Yamuna Body Rolling to strengthen, tone, increase flexibility, improve posture, expand lung capacity, rehabilitate injury, energize metabolism and develop mind/body awareness. She also helps her clients lose unwanted weight through nutritional guidance based on their body type and emotional needs, and offers psychological tools that enable clients to overcome their self-sabotage. Ultimately, Elissa empowers her clients toward a new fit and healthy identity so they may enjoy many years inhabiting a lithe, youthful, and beautiful body. She continually studies the most effective current and ancient exercises and techniques to help her clients feel sublime in their own skin. Elissa is also the mother of three grown children, a student of dance and writes health and fitness articles for such magazines as Natural Health, Ms. Fitness, Aquarian Times and Real Talk LA. Jennifer Cheng teaches fitness with whole-body movement analysis, designing personalized workouts from Pilates, yoga, dance, and physical therapy rehab exercises. She has received training and mentorship from rehab specialists in Europe and New York City. With experience training prenatal and postpartum moms, athletes (including triathletes, tennis players, marathon runners, cyclists, and professional dancers), and seniors with severe injuries, Jennifer enjoys teaching fitness with creative imagery and laughter. Eager to apply exercises on the PowerPlate to conquer health challenges, Jennifer has created the wellness program “Strength After Cancer” to help breast cancer survivors reduce lymphedema risks and all cancer survivors gain strength after chemo and radiation treatments. She has designed exercises on the PowerPlate to help students overcome balance difficulties or strength plateaus. Jennifer is also a Wellness+Nutrition Consultant trained by leading doctors as well as culinary experts and food writers. She provides wellness consulting to doctors’ offices and a variety of clients, from athletes to cancer survivors. Jennifer loves food and enjoys teaching her clients with science and mind-body-spirit education to help them live better longer. Patricia Zehentmayr, a native Texan, comes from a strong dance background and has been teaching movement professionally since 1998. She draws from her training in the Gyrotonic Expansion System®, Pilates, yoga, and Chi Gong to design effective sessions that suit individual need. Her experience ranges from working with those who have injuries or physical limitations to superfit athletes and dancers and a wide range of those in between. Patricia also teaches relaxation/meditation techniques for a healthy integration of body and spirit. Move better, feel better, perform better! Be motivated and inspired in any one of these T-X-S workouts with personal trainer and fitness consultant Jennifer Martin. With over 20 years experience, Jennifer uses many different techniques, including the cutting edge Power Plate to help clients achieve and maintain their health and fitness goals. Jennifer is a certified Pilates instructor through The Physical Mind Institute and also certified on the Power Plate, The Bosu Balance Trainer, Kettlebell and is a Spinning instructor. She also studied dance and acting at NYU’s Tisch School of the Arts and graduated with a BFA from the University of Southern California. Jennifer believes that exercise is the best way to prevent aging, maintain and lose weight, prevent and help with physical pain, osteoporosis, stress, and more! A teacher with a loyal following, if you are ready to take your workout to the next level, get into one of Jennifer’s always popular classes. A trained dancer, Jennifer Olsberg discovered Pilates during her never ending quest to learn about the mechanics of the human body and how the mind, body and soul are integrated. She's studied both the east coast style (under Romana Kryzanowska) and west coast styles and is certified in the Gyrotonic Expansion System®. She's been teaching Pilates for the past 16 years. Michele Santoro is T-X-S' newest trainer! Living in West Hollywood for the last four years, she developed a passion for trying out all the gyms and studios the neighborhood has to offer, keeping tabs on the latest trends. When she discovered the power plate program at T-X-S, she fell so in love she got certified to teach and is excited to share her love for power plates with others.